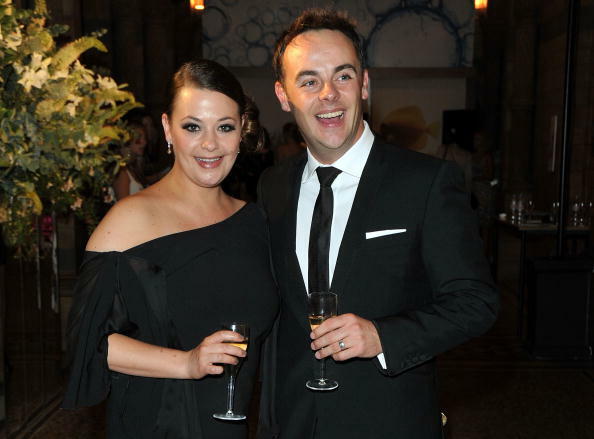 Lisa Armstrong looks completely unrecognisable following her split from television presenter Ant McPartlin. After an 11 year marriage, the couple announced they were getting a divorce earlier this year, following Ant checking himself into rehab battling drink and drug addictions. Meeting on the Smash Hits tour in 1994 when Ant was 18 and Lisa was 17, the two quickly fell for each other and got married in 2006. But last year was a testing time for the couple for numerous reasons. Days before Ant filed for divorce (on January 14), Lisa shared a farewell message to 2017 on her Twitter page. Waving goodbye to a rubbish year, Lisa posted a photo of her Bitmoji avatar taking a smelly bin bag out which was labelled ‘2017’. Looking at recent photos, it appears not only has Lisa said goodbye to 2017, but the 41-year-old make-up artist has also bid farewell to her familiar look. Changing her hair from brunette to blonde and cutting it shorter to a bob length, Lisa has completely transformed her image. She certainly looks happier than she did in January, when images of her appearing exhausted went viral after appearing in numerous tabloids. Debuting her new look on Instagram yesterday, (July 14) Lisa captioned the photo ‘blonde, LA life’ flaunting her tan, newly dyed hair and pout. Fans were clearly wowed with the post, which received over 3,600 likes at time of writing (July 15). They also flocked to the comments section to compliment Lisa’s glamorous new look writing, ‘you go girl’, ‘gorgeous’ and ‘looking good’. Over on Twitter, Lisa has also shared some snaps from her life the past two months which show her appearing a lot happier. While Lisa may look happier, a source told The Sun the make-up artist needed both time away and family support, flying both her parents out to LA to join her. She’s in a mess. She thought LA would help and it did at first. She caught up with friends and took stock of everything but unfortunately it doesn’t matter where you are in the world, your problems always come with you. Lisa feels abandoned. She’s realising the friends she and Ant once shared are fiercely loyal to him and have shut her out. She’s desperate for company. Her parents are worried about her fragile state of mind. While Lisa and Ant’s relations are more strained than ever – reportedly only talking through their lawyers – the Saturday Night Takeaway presenter has moved on from their relationship, finding romance with his personal assistant, Anne-Marie Corbett. He’s had a tough time of it, but Anne-Marie has put a smile back on his face again. She has been his rock. They have been living in each other’s pockets, day in, day out. Knowing someone is there for him has brought him back from the brink — she’s put him back together again. It’s very early days, but everyone is hoping he can put the worst year of his life behind him and find happiness again. Both of them deserve it. We hope both Lisa and Ant find happiness in the future.